I like my FitBit. I’ve been using one since March of last year and it has consistently kept me motivated to keep moving. … okay, let me check that for a second. It’s not the device itself that keeps me on the move. Initially, I liked seeing the numbers climb on my step count and watching that ticker drove me to earn higher numbers. It was a stark mental contrast to how I felt about my diabetes numbers, where I was aiming for more of a game of golf (bring that number DOWN, not UP). 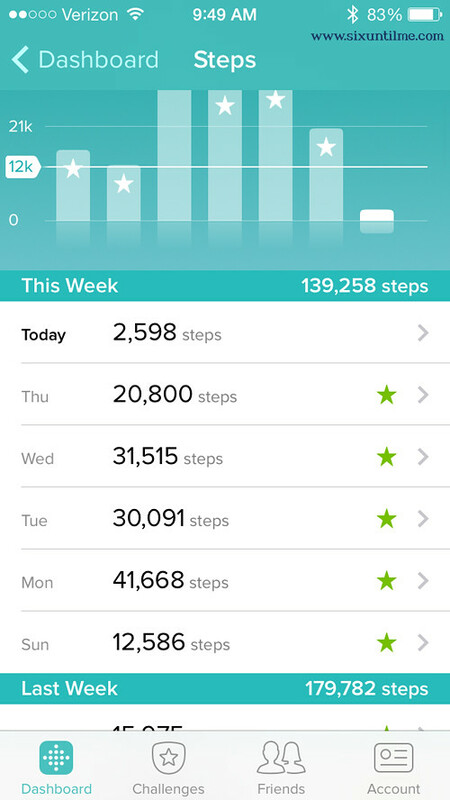 FitBit was cool because the higher the number, the better. Eventually, the newness of the self-tracking incentive wore off and I wasn’t as eager to fight to hit my step goal. I still exercised daily, but with a little less oomph, if that makes sense. What reinvigorated my motivation are the people I’m interacting with through the FitBit community. And this is where diabetes intersects a bit, because most of the people I’m connecting with through FitBit are friends from the DOC (diabetes online community). The ones I like the most are Workweek Hustles, because you have five days to not only reach your own self-set goals, but you can pace yourself against friends, making it a friendly competition. 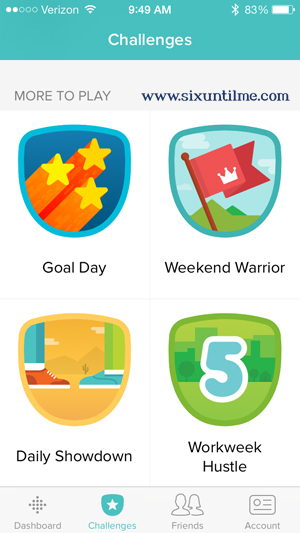 As the FitBit devices sync with the app, you can watch your step count climb and see which participant will come in “first” (with the most steps). Dude, it is FUN to play and to flex my competitive muscle. (I’m a little bit competitive. Maybe more than a little bit, judging by my husband’s bemused raised eyebrow every time I go to use the treadmill at 9 pm. “FitBit challenge again?” “Yep.” “Go get ’em.”) And while exercise isn’t something I’ve ever shied away from, it’s more exciting when I’m held accountable. If I’m in first place, there’s no way I’m going to skip a workout or avoid going for a walk or run, because I want to keep my foothold on that leader board. FitBit challenges are pretty freaking awesome. And fun. And help break up some of the mundane ho-hummishness that my exercise routine can fall into. A dose a fun, friendly competition and accountability is exactly the gentle incentive I needed. Of Cocktails and Community Slightly Charred. On Being An Athlete. Excited About Exercise … Again? This sounds great – I’d like to try out FitBit. Congratulations with using it to help lower your insulin doses and blood sugars. In the last year, I’ve also done that with exercise and a diet the same as the “10 Diet Commandments” that you posted earlier. Thank you.